Nowadays, we no longer have to visit our bank office. Mobile banking applications allow their customers to carry out all sorts of operations and queries directly on their smartphone, without having to physically go to an office. 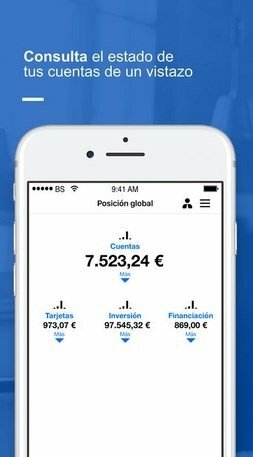 If you're a Banco Sabadell customer, downloading this application to your iPhone or iPad (or the APK file for Android, if necessary) will allow you to easily control all your finances and accounts from a simple and clear interface from where you can carry out all your banking operations by yourself, wherever you are. Check your movements, make transfers, and block your lost credit card in a matter of seconds. 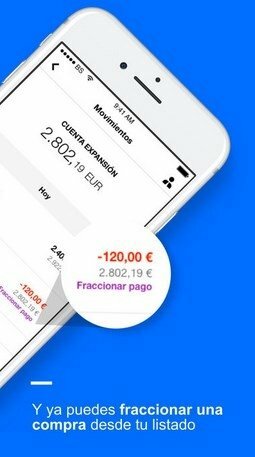 Check our balance and the movements of our accounts and cards. Make transfers to accounts or cards. Manage bills, invoices, taxes, and social security fees. Customize our credit card payment conditions and increase their limits. Open new accounts and deposits and manage renewals in a matter of seconds. Place purchase and sale orders and open asset accounts. Check the movements of our pension schemes, pay into them or open new places. Possibility to activate the pre-assigned loans via the Expansion Line. 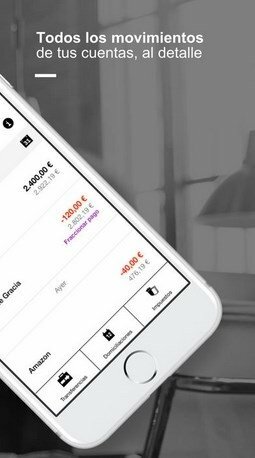 Furthermore, thanks to its digital signature technology, the user will be able to sign transactions and contract new services with the banking entity, pensions or deposits from his phone, without having to put up with never-ending queues and signing manually dozens of pages. 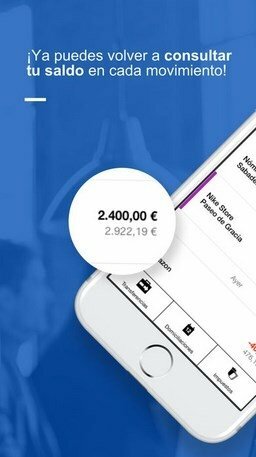 Finally, those of you concerned about your security don't have to worry, as the app will warn you by means of notifications whenever there's a payment of over €300, all the data is highly encrypted and we can add an extra security layer to access the app if our iPhone is equipped with Touch ID.